INHORGENTA MUNICH (February 22–25) is a highly regarded order and communications platform. The awards presented by the international trade fair for jewelry, timepieces and gemstones are considered to be a mark of excellence in the industry. In addition to the annual INHORGENTA AWARD that recognizes special designs and performances, INHORGENTA MUNICH will publish a reference work titled “Excellent Jewelers” for the second time. The “INHORGENTA Retailers 2019” come from Germany, Austria and Switzerland. 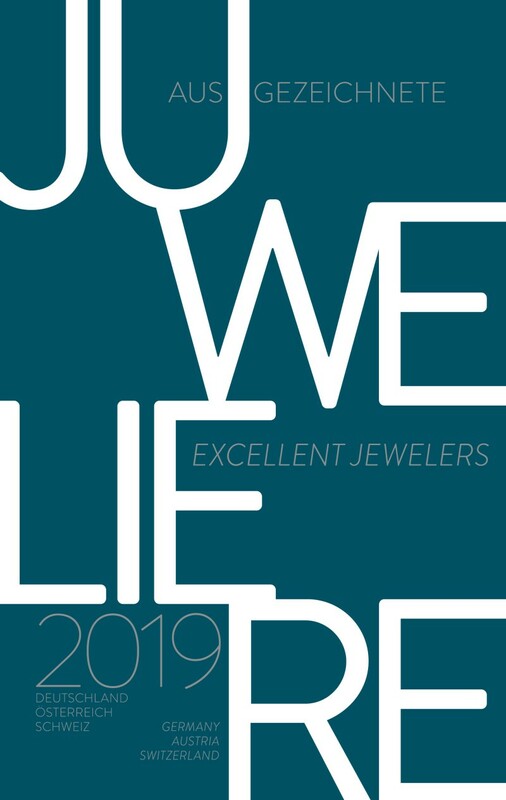 After its tremendous success in 2018, the second edition of the book “Excellent Jewelers” will appear just in time for INHORGENTA MUNICH 2019 (February 22–25). This massive reference book for all end consumers interested in jewelry and timepieces serves as the “who’s who” of German-speaking jewelry and watch specialty stores and goldsmiths in the DACH countries. In this publication of more than 160 glossy pages, detailed portraits of 70 excellent jewelers, specialty stores, goldsmiths and galleries give readers an overview of the industry’s huge range and creativity. The seal “INHORGENTA Retailer 2019” stands for the highest level of quality and is reserved for the most refined addresses in the timepiece and jewelry industry. The evaluation not only showcases the product portfolio in exquisite settings, it also considers unique events or successful online presentations. The book “Excellent Jewelers” also takes readers behind the scenes and reports on the very special highlights of retailers. “The passion and joy that the selected jewelers apply to their work are really something to behold,” Dittrich said. The head of Messe München himself will present the reference work at INHORGENTA MUNICH 2019 at 4 p.m. on February 23 in the Watch Boutique of Hall A1. Complimentary copies can be ordered from Messe München. In addition to the annual INHORGENTA AWARD that recognizes special designs and performances, INHORGENTA MUNICH will publish a reference work titled “Excellent Jewelers” for the second time.